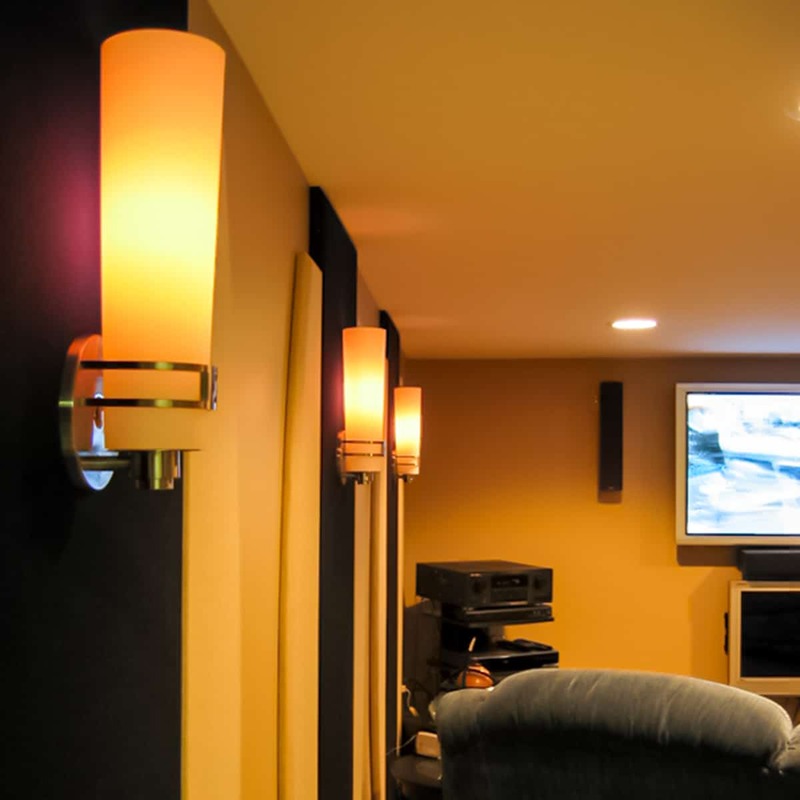 The home audio system in David McLees’ basement media room didn’t sound nearly as crisp as it should have. 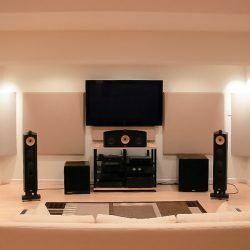 The bass from his sub-woofer didn’t quite hit his chest hard enough, either. 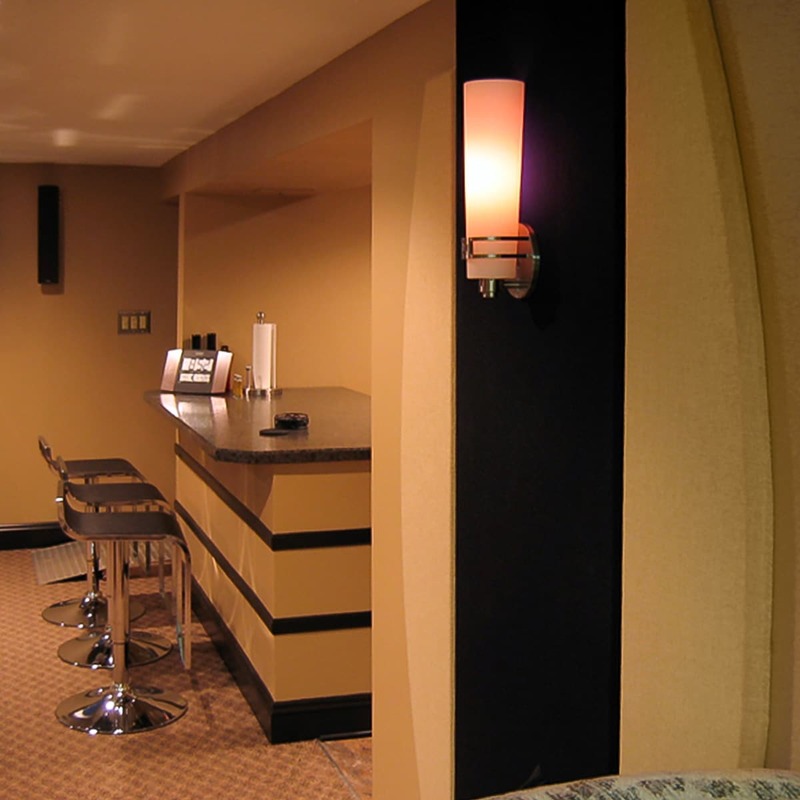 To improve his room acoustics, he called the sound experts at Acoustical Solutions. 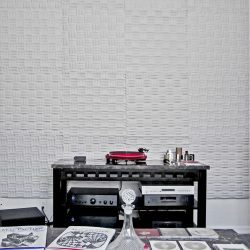 The Indiana man found a solution to his problem in the form of acoustic panels. 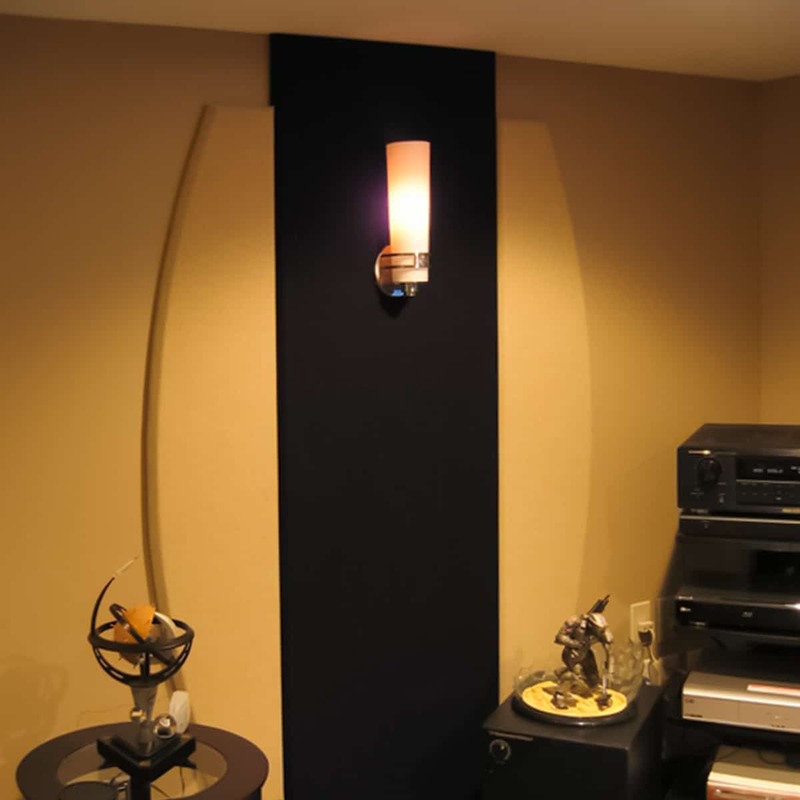 The panels worked perfectly for both excess sound absorption, and also for the appearance of his space. 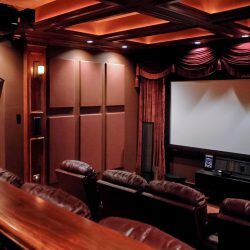 5.1 surround sound systems aren’t much use when explosions sound like firecrackers in a gym, and bass bounces off of three walls before it has a chance to thump chests. 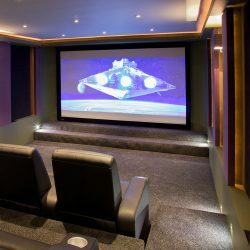 David McLees, however, was experiencing this exact sensation with his home sound system. 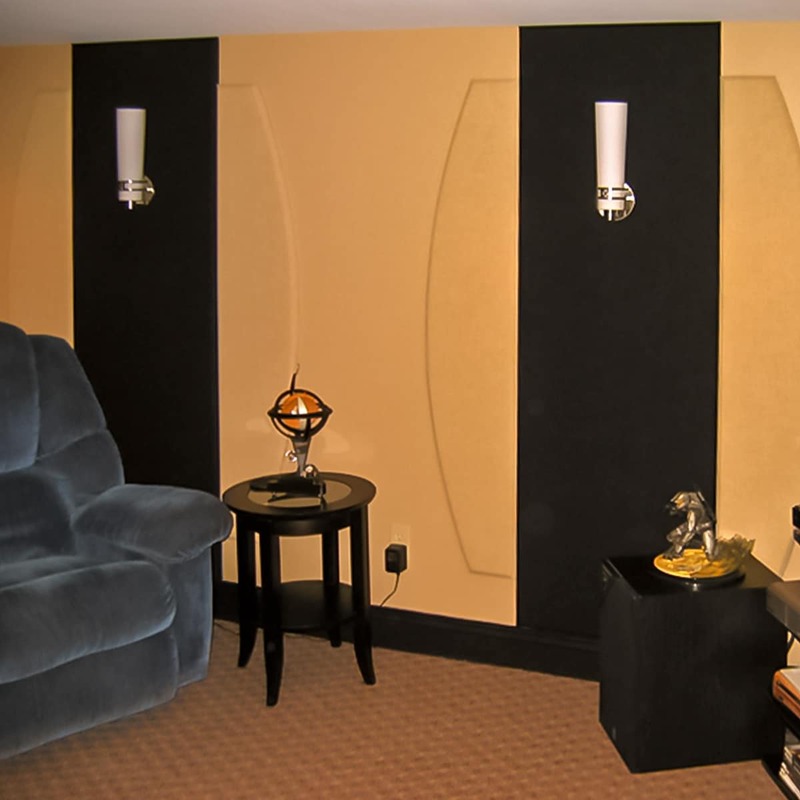 “The room is a long box with plaster walls and ceiling,” explained the Indiana resident, “it works perfect as an echo chamber.” The smooth parallel walls in David’s basement media room bounced the sound back and forth, raising the reverberation time and creating a flutter echo. 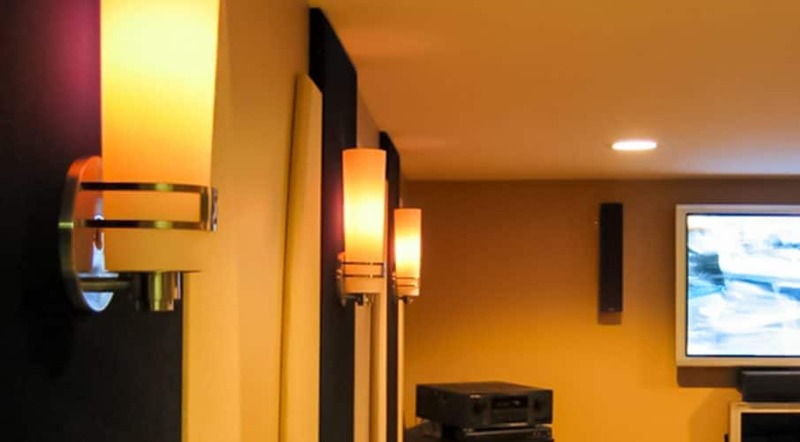 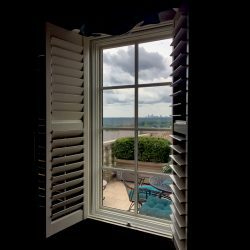 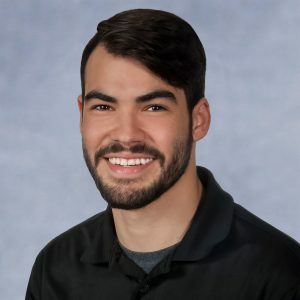 David immediately found both an acoustical aesthetic solution for his home audio needs when he contacted Acoustical Solutions. 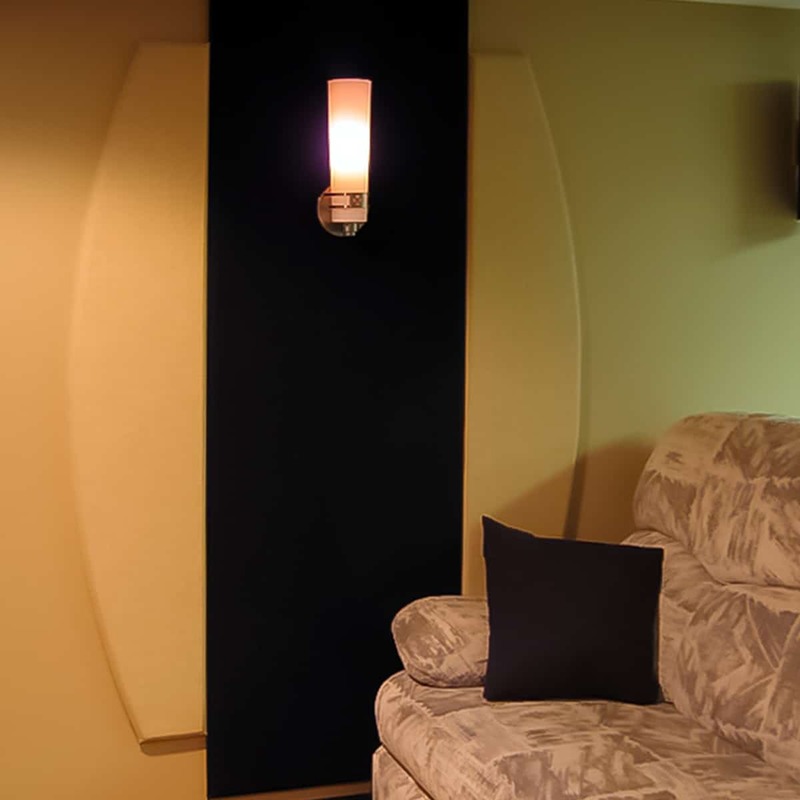 Custom fabric wrapped acoustical panels. 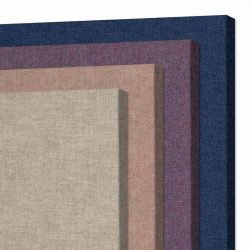 An AlphaSorb® Acoustic Panel offers a combination of sound control and decorative accents that enhances both the look and sound quality of any space including homes, offices, conference rooms, hotels, recording studios, universities and more.